When it comes to medication, it’s important to remember that the “one size fits all” philosophy isn’t always going to hold true. One person may have a great experience with a particular medication, while another person may have some issues. If you’re concerned about this, you should talk to your doctor about any medication before you start taking it. You should also try to speak to people that have taken this drug. Have conversations with them so that you can learn what you should expect. If you look at the differences between Nuedexta and Zoloft, for example, you’ll be able to learn a great deal. Neither medication is used to treat one condition exclusively. Both medicines are used to treat a variety of conditions. If you have depression, you could be offered many medications. The same goes for children with autism or adults with ADHD. There are plenty of ways to treat these conditions and both of these medications have been used in a number of ways. Nuedexta was designed to treat the symptoms of Pseudobulbar Affect (PBA), a secondary effect of other neurological conditions such as dementia, Amyotrophic lateral sclerosis (ALS), and Multiple sclerosis (MS). Although it has been employed in other ways since then, it’s clear that this is the primary purpose of this drug. 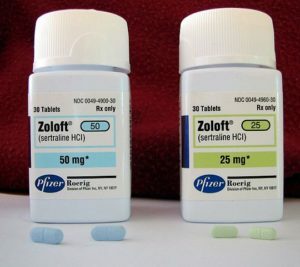 Zoloft was created to treat the symptoms of depression. Although doctors prescribe it for people with different conditions, this is still its most common use. 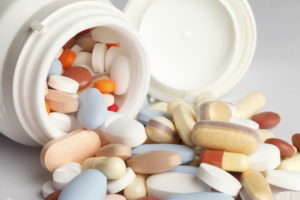 These are different types of medications, and they are often used to treat different things. One of the nice things about both of these medications is that the majority of people that take them don’t experience severe side effects. However, that doesn’t mean that the list of side effects that these medications can cause are identical. You shouldn’t assume that the side effects for both of these medications are the same. They can cause different reactions for different people. If you aren’t familiar with the side effects for one of these drugs, you should read up on them so that you can learn more. The price that people will pay for these medications is going to vary based on the insurance policy that they have. That said, they don’t have the same cost. It’s easier to purchase a cheaper version of Zoloft, especially when you are willing to try the generic version of this drug. There is no generic version of the Nuedexta drug. If savings are important to you, you should talk to your doctor about the most affordable medication options. They should be able to help you find a drug that will treat your condition without requiring you to spend a fortune. Doctors tend to be careful about combining medications. The way a medicine works can change when it is combined with something else. Studies have suggested that these drugs can be safely combined. However, that doesn’t mean that you can take them together without talking to a doctor. You should always be very careful about mixing medications. You should also talk to a physician before you start taking something new. If a different doctor has prescribed a medication to you, you should speak to them about what you are currently taking. Are you interested in learning more about the differences between Nuedexta and Zoloft? If you want to read up on these drugs, you’ll find a wealth of information. You should research these medications on your own time, but you should also talk to a doctor about them. A physician will be able to give you the information you won’t be able to find online. Previous Previous post: What Are The Best Alternatives To Nuedexta?